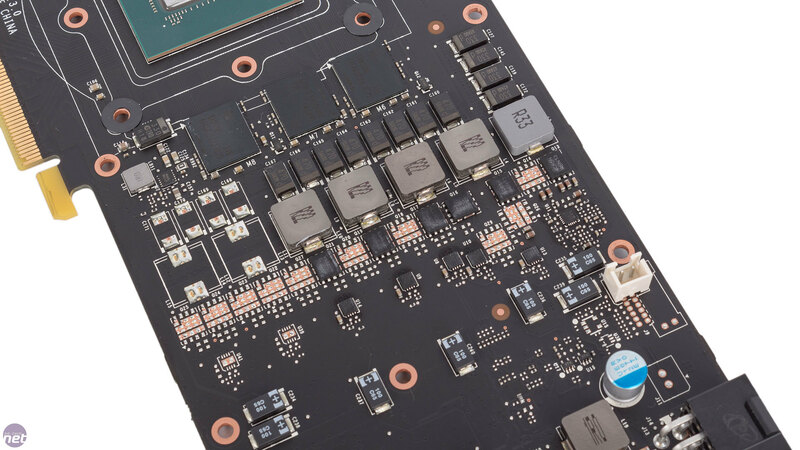 Nvidia's board partners are now out in full force with multiple variants of the GTX 1070. 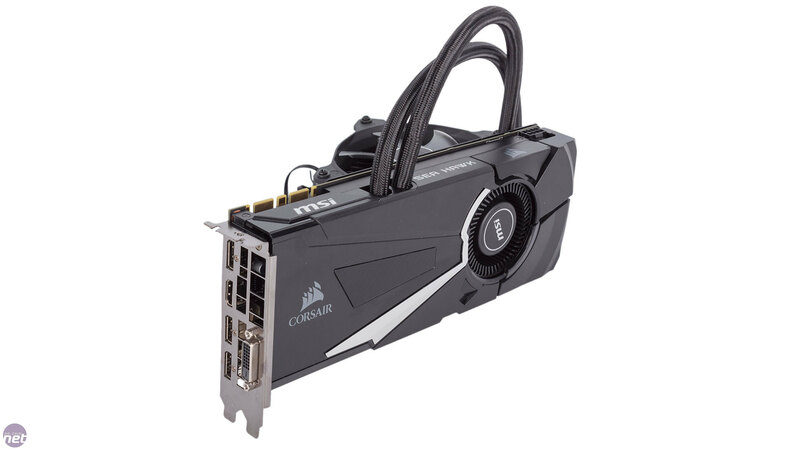 Take MSI, for example; by varying the cooler used with the card and the clock speed of its specific SKUs, it's able to offer a whopping 11 different options just for this one GPU. With us today is one of its more unique offerings: the GTX 1070 Sea Hawk X. 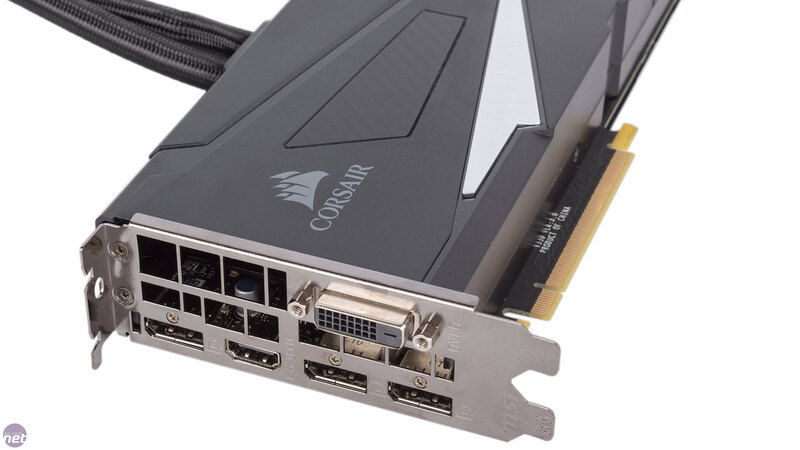 It's actually a joint venture with Corsair, effectively pairing the GTX 1070 with a custom all-in-one liquid cooler. 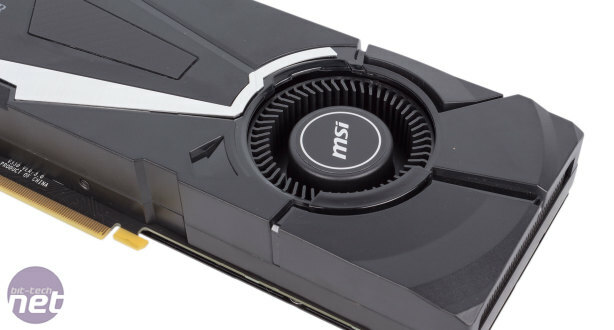 For the privilege of out-of-box water-cooling, MSI is charging a hefty £500. 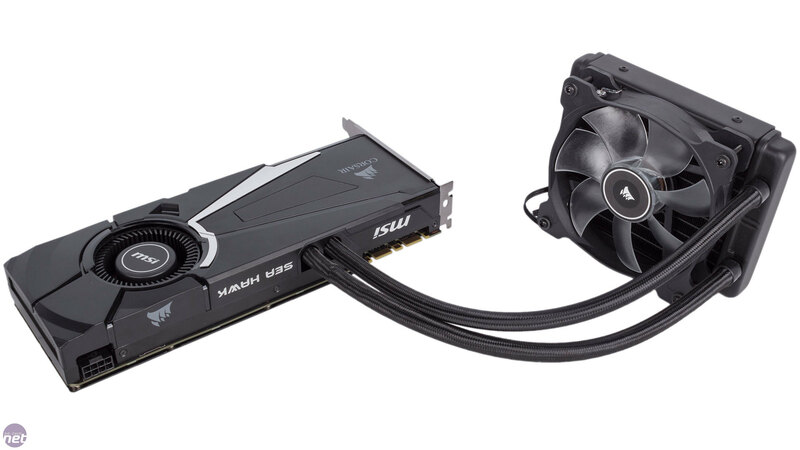 With reference-style cards available for £375, this is a 33 percent markup, and only £100 away from a basic GTX 1080. 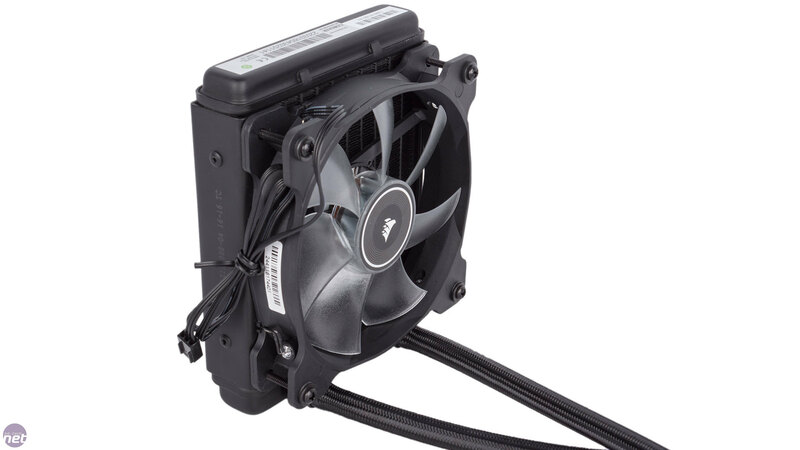 A price-performance offering this is not, then, but water-cooling is of course much more about reducing temperatures and noise than adding performance, although there is the potential for higher overclocks too. 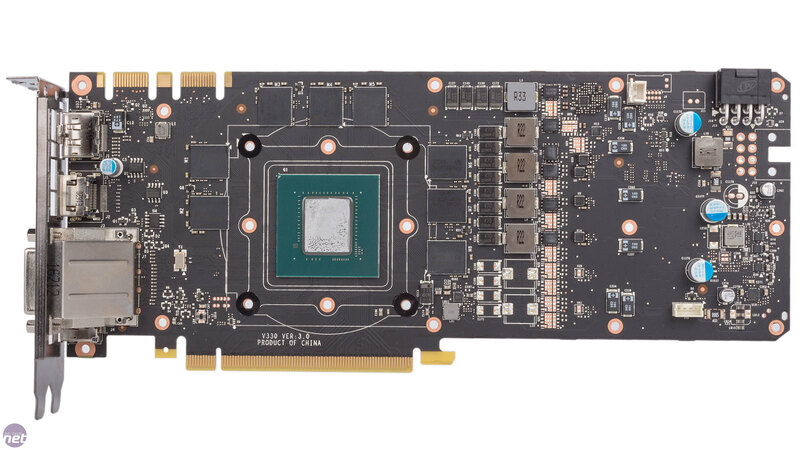 As this is the Sea Hawk X card, it comes not only with built-in water-cooling but also a factory overclock. 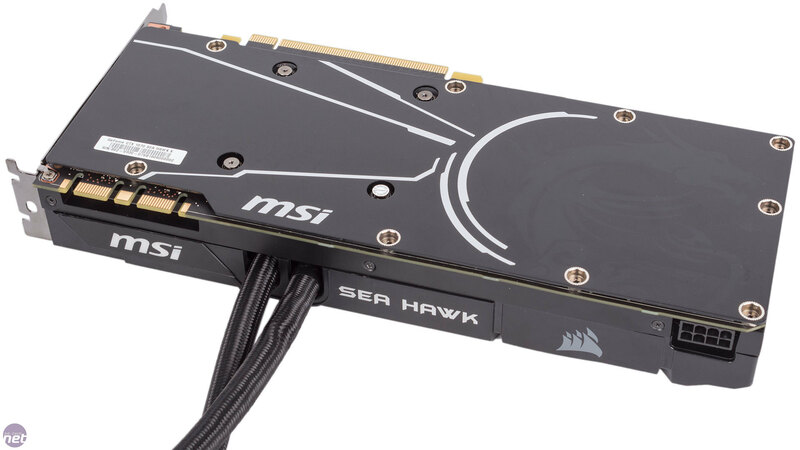 MSI does list a GTX 1070 Sea Hawk on its website, which runs at stock speeds, although this non-X variant is hard to come across in retail. 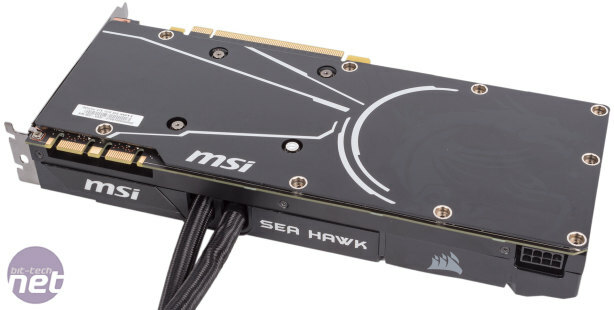 Back to the Sea Hawk X, and you get a base clock of 1,607MHz (1,797MHz boost), a 7 percent increase on reference speeds and the same as MSI's popular Gaming X card. Relative to the rest of the market, it's a fairly middle-of-the-road overclock, but should still provide a modest bump in performance. These speeds are applied when the card is operating in its OC Mode. Technically, the default frequencies (Gaming Mode) are 1,582MHz base and 1,771MHz boost and a third, Silent Mode offers reference clocks: 1,506MHz base and 1,683MHz boost. The modes are easily switched between using the MSI Gaming App – sadly there's no integration into Afterburner. The memory has been overclocked too, but only very slightly, from 2GHz to 2.025GHz, pushing the effective speed from 8Gbps to 8.1Gbps. This overclock is also only applied in OC Mode. Even so, it's nice the memory hasn't been totally ignored. 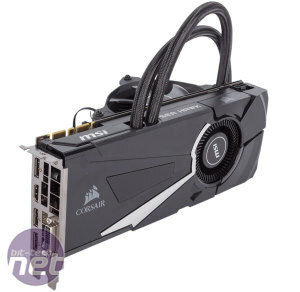 The actual card here looks just like your standard reference blower – 270mm long and 111mm tall with a closed shroud and a single radial fan. The plastic shroud is a little flimsy and plain looking, although the MSI logo along the top is backlit with a white LED, and the Gaming App can be used to control it with a few effects. The card is also fitted with a matt black metal backplate, strengthening it and improving the aesthetics over what a bare PCB would offer. The power input is kept as a single 8-pin connector; there probably wouldn't be much benefit in upgrading this so that's fine. MSI also sticks to the tried and tested reference outputs with three DisplayPort headers, one DVI-D and one HDMI. The reason MSI and Corsair have kept the radial fan in place is to cool the memory chips and VRMs. The cooling apparatus draws heat away from these via thermal pads and a metal plate, feeding a heatsink above which the fan cools, evacuating pretty much all air neatly out of the rear I/O panel thanks to the closed shroud. Cooling these components is of course important, but it's a shame not to see a more complete liquid cooling solution that manages them all and removes the need for a blower fan altogether. Then again, as long as the setup does its job, who are we to complain? 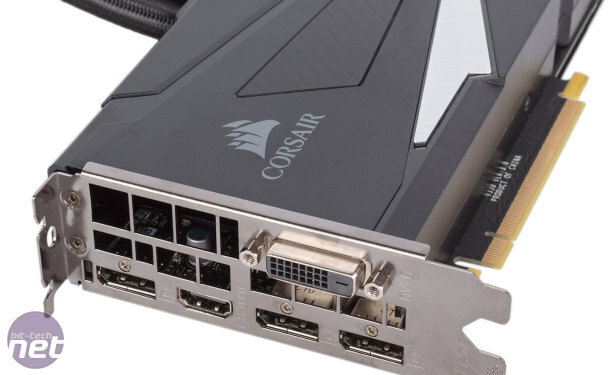 The GPU is of course the most critical component, and it's this that has been treated to Corsair's AIO liquid-cooling. 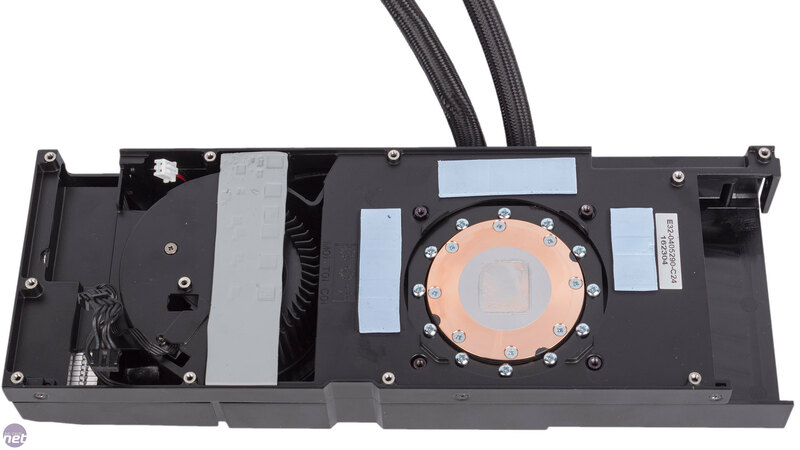 The pump unit is fitted to the GPU, pulling heat away via the copper base that's outfitted with micro-fins for improved heat transfer. The resultant liquid feeds a slimline 120mm aluminium radiator – keeping the radiator small improves the case compatibility and helps to keep costs down too. As ever, the all-in-one loop is fully sealed and pre-fitted so the card requires no maintenance or assembly beyond screwing in the radiator. 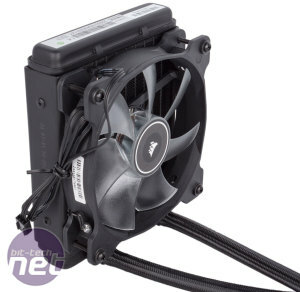 A single 120mm fan is also supplied and comes pre-fitted to the radiator. It's a white LED model, so this adds a bit of pizazz, but it's powered by a standard 3-pin header and thus not temperature-controlled by the GPU. This is a shame, and it gives us the feeling of the cooler being somewhat incomplete. On the other hand, it does make the fan dead simple to replace, and opens it up to fan control through dedicated controllers or your motherboard. The PCB also looks like a standard reference board, with no fancy features and a 4+1 phase power layout that doesn't make use of upgraded components like MSI's Gaming range of cards does. 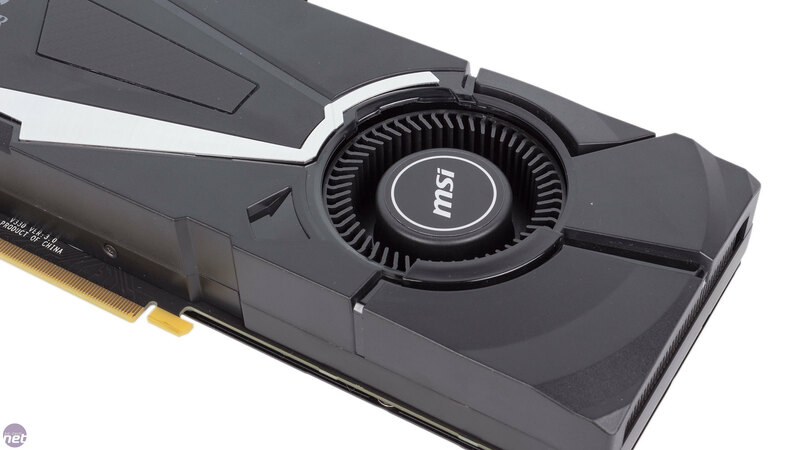 The card does support SLI, although it's likely to look messy pairing up two of these, and you'd need to ensure adequate spacing between them to give the blower fan of the top card room to breathe.